We drove back home from Sheffield yesterday and our plan for this weekend is to take it easy. This morning Jasmine went to her gym class with Gordon while I did some shopping with the boys. Then we went over to Caterpillar Tales house for a joint birthday party for their youngest and oldest. The kids had a great time on the bouncy castle, and Jasmine spent a long time bug catching! 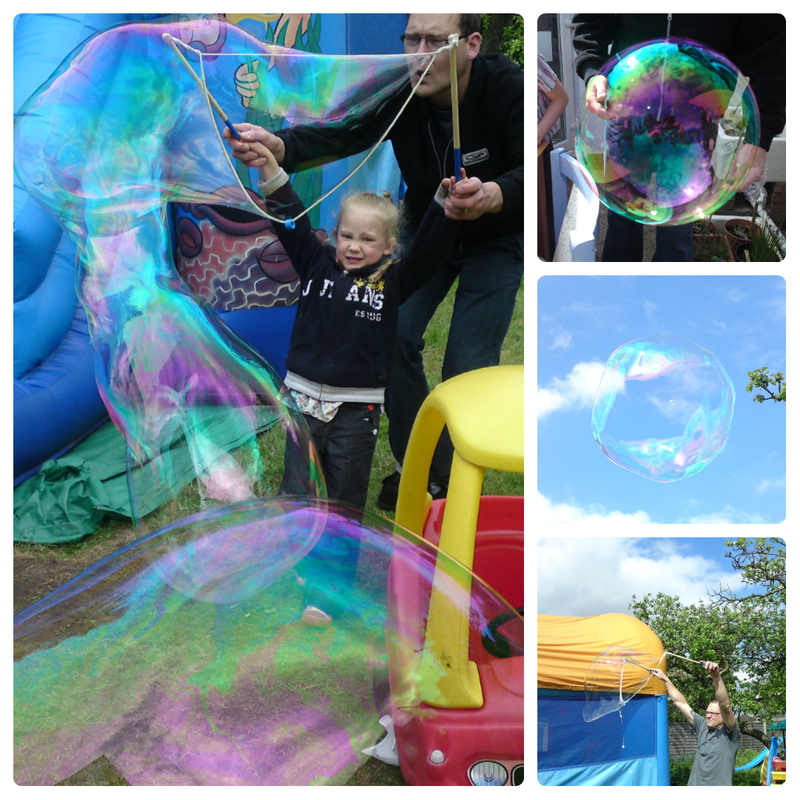 There were also Giant Bubbles to play with! After the party and a little play time for the kids afterwards we went home and spent an hour or so in our garden. Gordon and I needed to get a Rose planted and while digging the hole we found a few centipedes, which of course had to go into a big catcher for a while so they could be looked at! Jasmine also did some more bug catching at home and all 3 kids played a ball game together, which looked like it involved 3 balls, 3 space hoppers and the slide! And that was our day today!